Imagine coming home to quiet tree-lined streets, your welcoming & relaxing front porch, being close proximity to highways, downtown, & other popular areas, as well as a light rail station to get around town with ease. Invite your friends over to walk to Sunnyside Music Fest, eat brunch at Bacon Social House, grab coffee at Common Grounds or Huckleberry or shop local boutiques like Sub Rosa Mercantile. 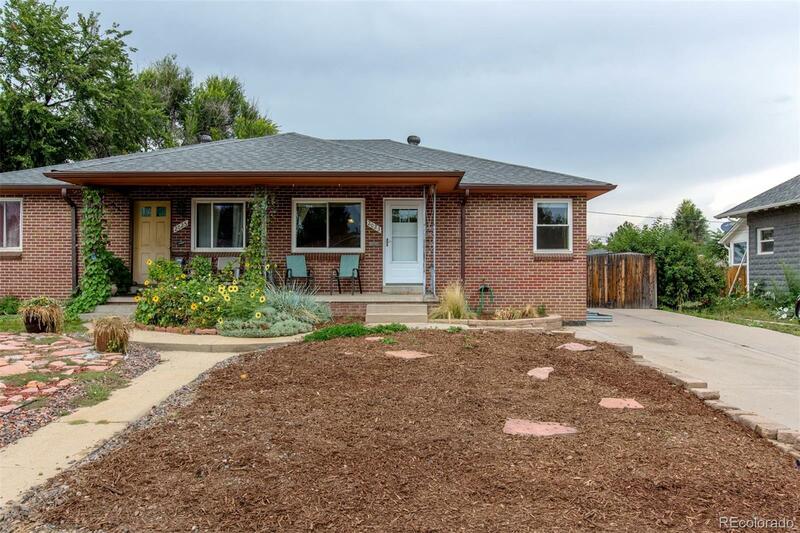 This half duplex boasts more square footage than many in the area & has a large backyard with a covered patio to eat dinner on during warm Colorado evenings, to garden & eat your own fresh veggies or to host bbqs for family & friends. New roof & sewer line. Enjoy all that this thriving neighborhood has to offer by making it your home or rental!